FROM R625 PER PERSON p.p. Most of our 11 luxury en suite rooms have views of either the mountain or the sea. All are equipped with showers and satellite TV. There is safe parking and we can arrange car hire or transport from and to the airport. We also cater for specialist groups and package tours for up to 24 people. Wake up to a full Cape-style breakfast to start your day and, later, enjoy a drink on the pool deck as you watch the sun sinking over the Atlantic Ocean. Leeuwenzee offers comfort and beauty to all visitors to the Western Cape. "I am a regular at Leeuwenzee and feel at home every time I stay there. Thank you Monica and Daniel and your staff for your kindness and hospitality. The breakfast is a feast and one of the best I have ever had in a guest house. Your personal touch is evident and the rooms and the chairs on the deck ..."
"I am a regular at Leeuwenzee and feel at home every time I stay there. Thank you Monica and Daniel and your staff for your kindness and hospitality. The breakfast is a feast and one of the best I have ever had in a guest house. Your personal touch is evident and the rooms and the chairs on the deck are lovely." "Clean, comfortable, friendly, good breakfast, centrally placed with excellent service. After a five day stay I can happily recommend Leeuwenzee Guest House." "Great, easy to find location"
"Nice, small and clean guesthouse, was lovely staying there, and would recommend this to other people. 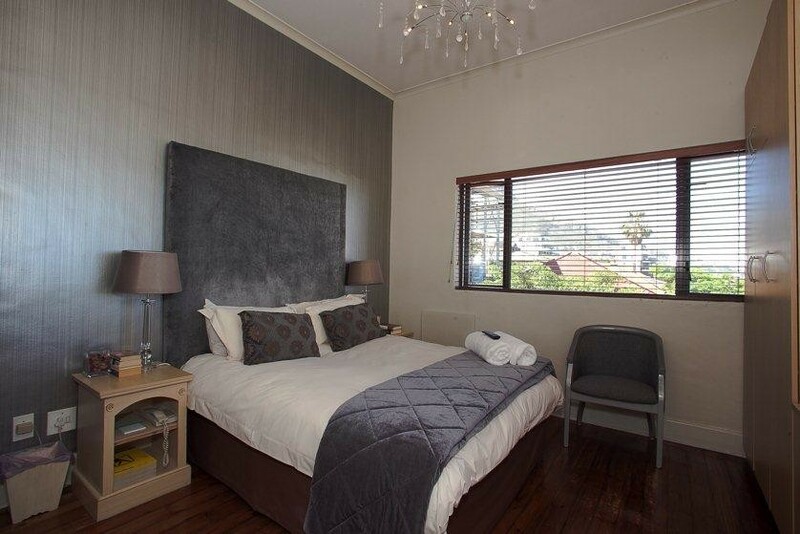 Very close to everything in Greenpoint/Seapoint and close to V&A Waterfront. My only complaint will be the noise levels of the traffic in Main rd." "The guesthouse was well located. Situated in a truly peaceful area. Lovely outdoor surroundings. The place itself was clean and comfortable. The breakfast was really good. The service was excellent and the staff were friendly and helpful. I would recommend this place to others and I'd go back again." "Only had a short amount of time and this guest house was perfect. They waited for me to arrive and the hospitality was fantastic. Even though I was out and about during my time in Cape Town, breakfast was one of my favorite memories. Amazing breakfast and the scenery was unreal. Will definitely reco..."
"Only had a short amount of time and this guest house was perfect. They waited for me to arrive and the hospitality was fantastic. Even though I was out and about during my time in Cape Town, breakfast was one of my favorite memories. Amazing breakfast and the scenery was unreal. Will definitely recommend for anyone traveling to Cape Town. " "Great staff and awesome breakfast"
"It was beautiful and cosy." "I had a lovely stay. The rooms were beautiful and the breakfast was really nice." "We had a very good stay. The breakfast was lovely, staff was excellent. They were friendly and helpful. We loved it so much and decided to stay there again." "The place was homely and clean. The breakfast was great and we were very comfortable throughout our stay." "Convenient, good location and lovely people. This is a great place to stay with a variety of great breakfast options. Really enjoyed our stay. The hosts were charming and very helpful with my elderly mum. " "The staff are professional and the service was good. We had a great time and enjoyed the positive atmosphere. Everything was great and we had no problems." "Thank you for a most enjoyable stay. The guest house is tastefully decorated and the room was clean and serviced. A really good spread served for breakfast. Friendly, helpful staff who made us feel welcome and were always attentive. Parking is a little challenging because of the steep, narrow road a..."
"Thank you for a most enjoyable stay. The guest house is tastefully decorated and the room was clean and serviced. A really good spread served for breakfast. Friendly, helpful staff who made us feel welcome and were always attentive. Parking is a little challenging because of the steep, narrow road and busy traffic. A good location for getting around Cape Town." "The hospitality of the Leeuwenzee Guest House was very good and we had a wonderful stay. "Very neat and comfortable. Friendly welcoming hosts. Breakfasts were divine. Safe location, ample space for parking on the roadside. Good ease of access to all landmarks. Nice views. A lovely guesthouse!" 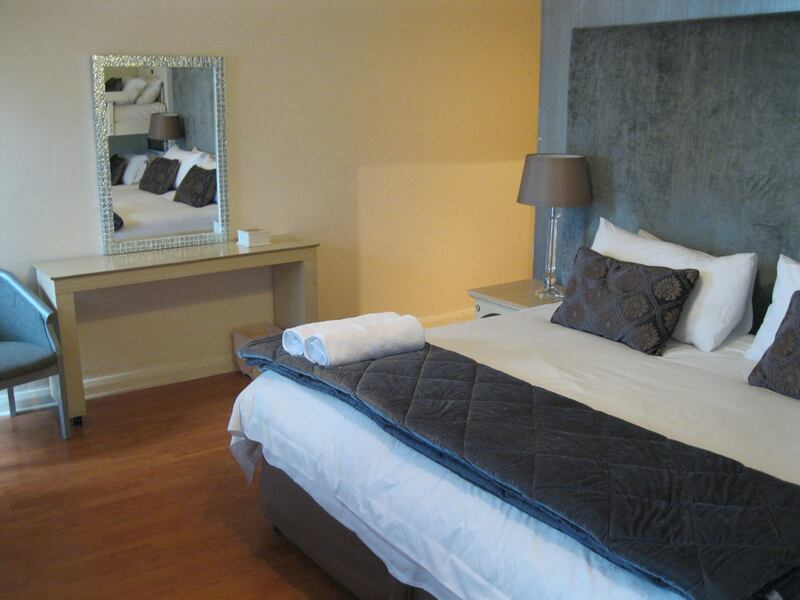 "The rooms are incredibly comfortable and well decorated. The staff are very friendly and incredibly helpful.Ê"
"I really enjoyed my stay at the Guest house. The accommodation is marvellous and the staff is caring. Good fresh fruit for breakfast everyday. I would really recommend the place for anyone." "second time here and again its been a great stay. Hospitality was awesome and the area fabulous. Will recommend it anytime." 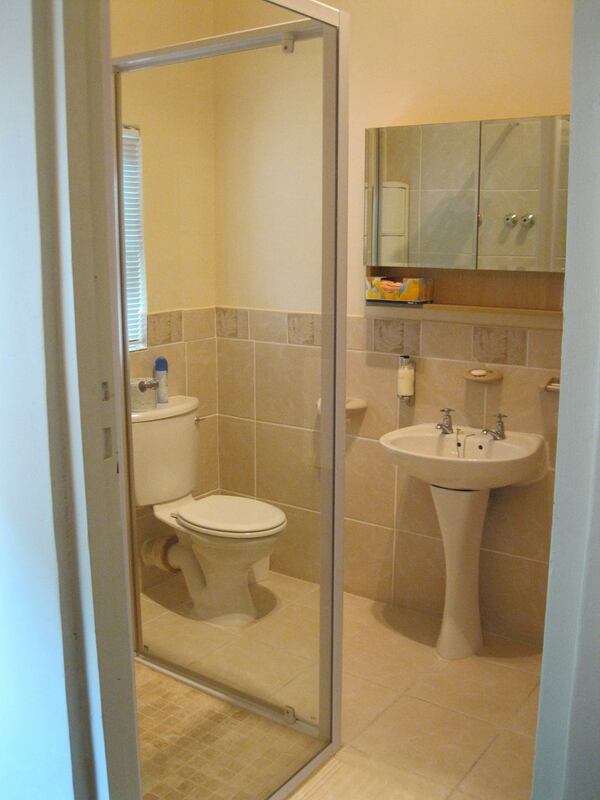 "Very clean and well kept, Êgreat service." "Great breakfast, helpful hosts, shower door was broken but functional. " "We enjoyed our stay at Leeuwenzee Guest House. " "We enjoyed our stay at Leeuwenzee Guest House. Our room was nice and we enjoyed the breakfasts. Our host, Daniel, was very helpful. If we ever come back to Capetown we would stay there again. "We enjoyed our stay thoroughly. The room was neat and comfortable. The breakfast was great - a good variety. 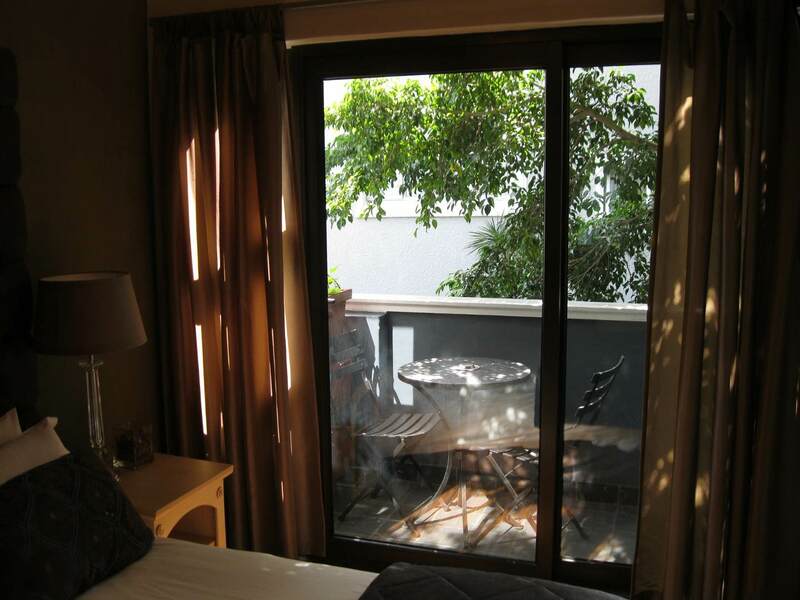 The guesthouse itself is within walking distance of shops, restaurants, beach and many other amenities. Our host, Mokhele was very friendly and helpful. I'd recommend Leeuwenzee to anyone." "We enjoyed our stay at Leeuwenzee! It was AMAZING.We looked forward to the breakfast every morning.The service was outstanding.We could not fault you guys. We will be back! "The house is clean, buffet breakfast was good & fresh and variety to choose from. accommodation is convenient to most restaurants, supermarkets, walking distance to beach, public swimming pools, 10 mins drive to waterfront and 35 mins walk to waterfront alongside the beach. Nearest to the main route..."
"The house is clean, buffet breakfast was good & fresh and variety to choose from. accommodation is convenient to most restaurants, supermarkets, walking distance to beach, public swimming pools, 10 mins drive to waterfront and 35 mins walk to waterfront alongside the beach. Nearest to the main routes for public transport." "The stay here was very good. I would recommend a stay here to others and visit again." "We enjoyed our stay at the guest house, Daniel and Monica were very friendly and accommodating to our needs." 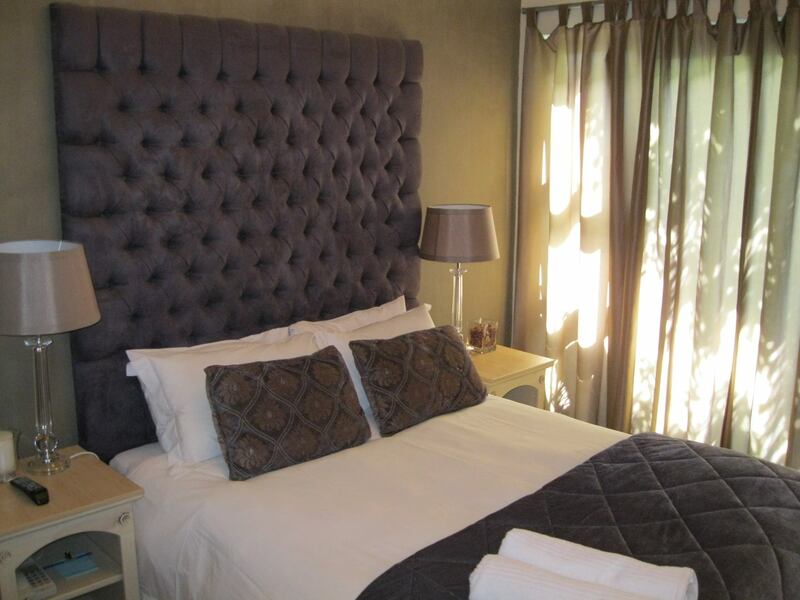 "We thoroughly enjoyed out stay at Leeuwenzee. The guest house is beautifully decorated and maintained, the staff are friendly, professional and efficient, especially Daniel, the breakfast was superb. It's centrally situated, close to most major attractions, shops and restaurants, and the ocean. I wo..."
"We thoroughly enjoyed out stay at Leeuwenzee. The guest house is beautifully decorated and maintained, the staff are friendly, professional and efficient, especially Daniel, the breakfast was superb. It's centrally situated, close to most major attractions, shops and restaurants, and the ocean. I would definitely recommend this guest house to anyone, unreservedly! " 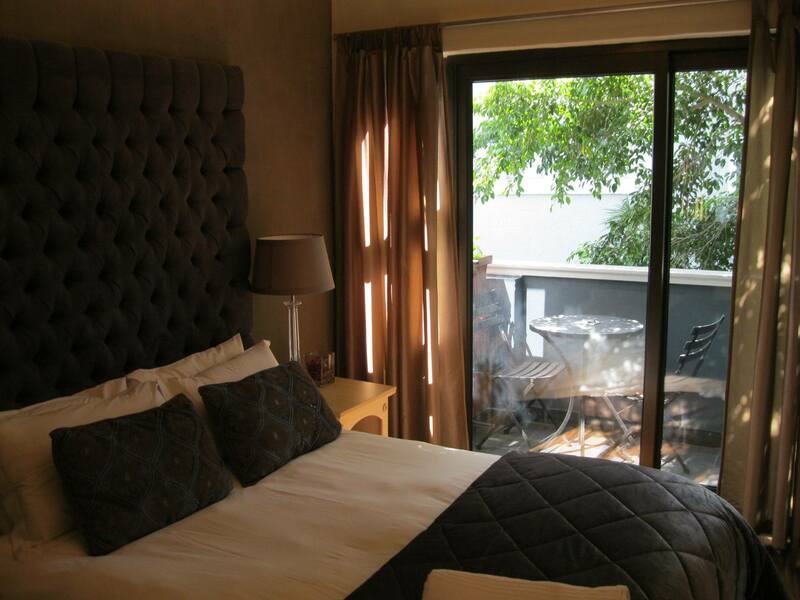 "I had an enjoyable stay at Leeuwenzee Guest House. The bed was very comfortable and clean, and the breakfast was first class. I would recommend to all my friends in Cape Town." "The staff were excellent and made me feel at home straight away. I would recommend this establishment to any business traveller or couples holiday destination as it also boasts a lovely sea view." "We had a lot of fun at Leeuwenzee Guest House. Daniel and his team are perfect hosts, always trying to help. We will definitely coming back!" "The welcome and service we received was outstanding, the staff is professional and very friendly, they made us feel like part of the family. I really appreciate the respect shown to us. I would definitely recommend it to anyone looking for accommodation in that area." "Very private, very nice breakfast, and in a very good location. We enjoyed our stay and the hospitality of the host. Will surely visit again." "All round good experience. Helpful and friendly staff. Very good breakfast. " "We had a great stay. Daniel and Monica are both great hosts." "The stay was wonderful "
"The establishment was the same as on the advertisement .Therefore there was no disappointment .The hosts we great as well made us feel welcome and at home .Overall it was a great experience to remembered." "What a friendly place!!! We started our holiday in this guesthouse. Thank you Daniel, for your kindness and help! Clean rooms, very nice breakfast." "Excellent Breakfast, very nice decorated rooms, but sometimes noise in the night from passing by cars." "Conveniently located, very friendly staff, excellent service, we had a very good time. " "Enjoyed the place and will certainly book with them the next time around...keep up the good work!!!" "It was very pleasant, lovely atmosphere, wonderful to wake up to a nice breakfast and friendly faces." "Thank you for a friendly stay!" 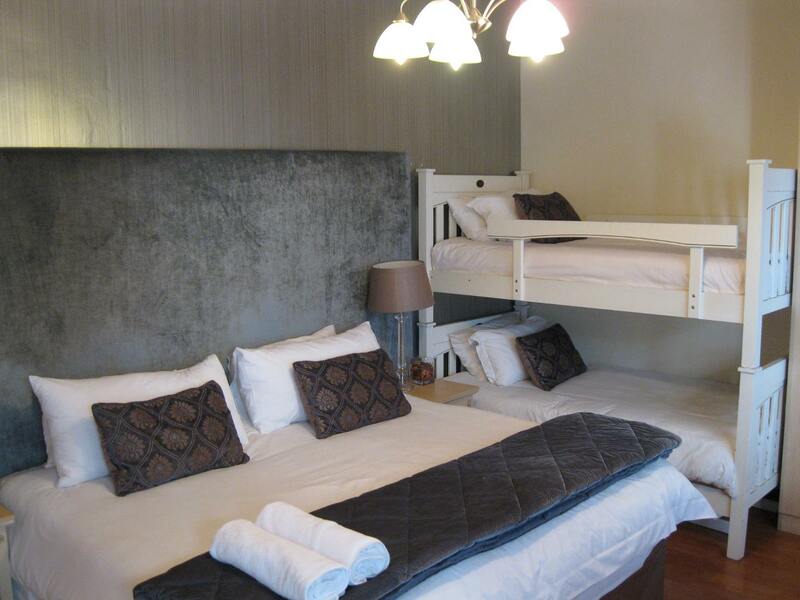 "We stayed with our family of 5 (children 2,3 and 7 yrs old) at Leeuwenzee. 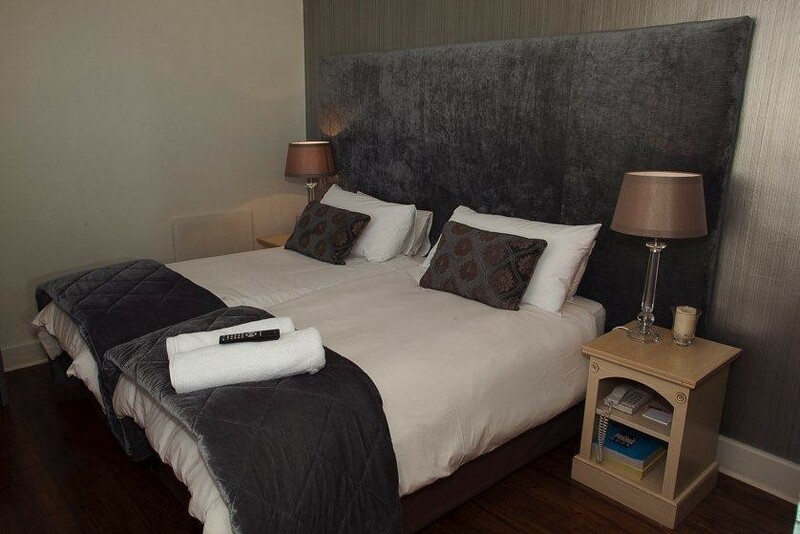 Well furnished and tidy rooms and easy to access. Very kind and helpful management, who gave us some good hints for places to go. We can absolutely recommend it to others. "We thouroughly enjoyed our stay and found Leewenzee ideally located to visit all of the Cape Peninsula with ease. Close to the city, beaches, restaurants and all scenic drives. "Cape Town at its best"
"Perfect Location for a stress free visit to Cape Town. Ideally situated. Staff could not do enough to make us comfortable and welcome. "Lovely place with warm reception and friendly hosts. "